Minister Yuval Steinitz visits Cairo for natural gas conference - the first such visit by an Israeli minister since 2017. Israel's Energy Minister Yuval Steinitz (Likud) arrived in Cairo on Sunday to attend a natural gas conference in a rare visit to Egypt by an Israeli official, airport sources said. Jordan and Egypt are the only two Arab states to have full diplomatic ties with Israel, but the relations remain limited and taboo among the general populations. Egyptians, like most Arabs, are largely opposed to the normalization of ties with Israel in the absence of any resolution to the broader Israeli-Arab conflict. Steinitz's visit came at the invitation of the Egyptian government, Israel's energy ministry said. The Israeli minister was set to attend a regional forum on natural gas, which has become a major economic and strategic issue in the eastern Mediterranean. 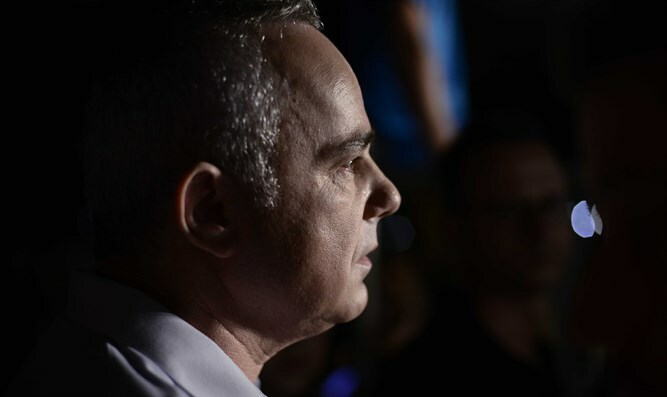 The "development of gas fields has geopolitical and geostrategic value," Steinitz told Israeli army radio ahead of the trip. "Here you have for the first time real economic cooperation between the axis-of-peace states Israel, Egypt and Jordan, along with European countries." Egypt has increased its meetings and agreements on natural gas with neighboring countries as of late. In February 2018, Cairo reached a deal with Israel for the transfer of natural gas from Israel's Tamar and Leviathan reservoirs to Egypt. "Steinitz's invitation to the conference in Egypt is the positive outcome of the gas agreement," a source close to energy minister told AFP. The last time an Israeli minister visited Egypt was in November 2017 when Social Equality Minister Gila Gamliel took part in a conference on the promotion of gender equality in Mediterranean states. Relations between Israel and some Arab countries have warmed in recent months, with Israeli ministers last year visiting the United Arab Emirates and Oman.